Thurgood Marshall was the first African American to serve on the United States Supreme Court. 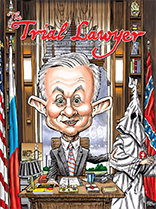 Before that, he was one of the most influential trial lawyers of his time, handling numerous cases before the U.S. Supreme Court. 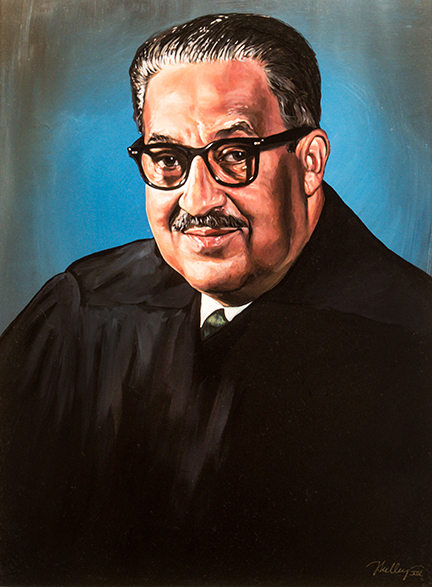 His most famous victory came with the case of Brown v. Board of Education, which successfully ended segregation of public schools. In the case of Murray v. Pearson, Marshall represented Donald Gaines Murray, an African American Amherst College graduate with excellent credentials, who was denied admission to the University of Maryland Law School because of its segregation policy. 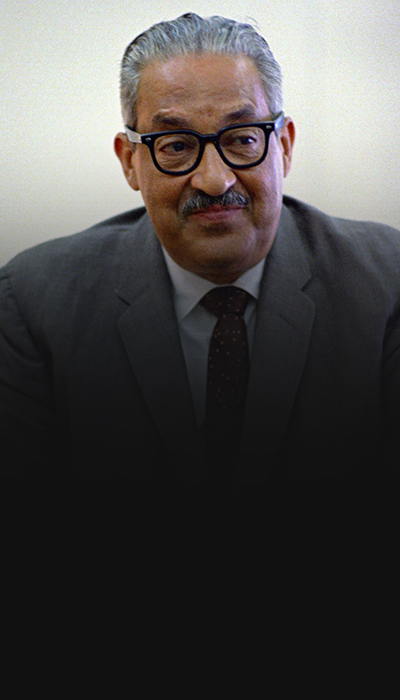 He was the founder and first executive director of the NAACP’s Legal Defense Fund, a position he held until being appointed to the United States Court of Appeals for the Second Circuit in 1961 by then President John F. Kennedy.